Our architecture is the celebration of Wayanadan pristine beauty. We believe buildings are the living creations that sustain an inseparable connection between humans and the surrounding environment. We specialize in helping creative business clients with their design needs from architecture planning, interiors designs, renovations to landscaping and product design. 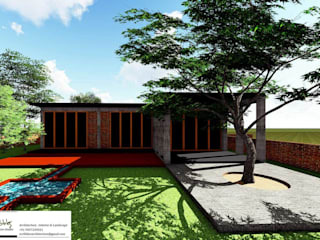 We strive to provide innovative design solutions with sustainable and green architecture concepts. We work closely with our clients to identify their needs, to discuss site context and budget, and to create together a design brief and conceptual sketch.